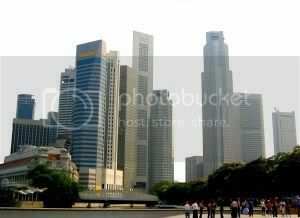 Jan. 29, 2007 issue – Tiny Singapore, with its population of 4.3 million, is often lauded for the way it has embraced globalization to maximum advantage. In the last decade, the city-state has opened its doors wide to foreign investment and talent, slashed corporate taxes, offered incentives to nurture strategic industries (such as biotech, pharmaceuticals and financial services) and cut free-trade deals with a host of other countries. The payoff has seemed clear: over the past three years, Singapore’s economy has averaged 7.6 percent growth—a staggering pace for an industrialized state—and created new jobs at a rate any European government would envy. There’s only one problem: average citizens have yet to reap the benefits. New statistics reveal that middle-class households have tasted none of Singapore’s spectacular growth, and that the island’s poorest 30 percent are worse off than they were five years ago. “Although we have seen very strong growth, we’re experiencing this new phenomenon of median real-wage stagnation and low-income decline,” says Yeoh Lam Keong, vice president of the Economic Society of Singapore. Read the full article in Newsweek.